Which is better: WhatsApp or Viber? If you are trying to decide between installing WhatsApp and Viber on your smartphone, don’t feel like you have to pick just one. Install both and try them out until you determine whether you favor one over the other. These apps are similar both in services offered and in cost, so your decision may come down to which app your family and friends already use. WhatsApp and Viber are both free to download. Both services provide end-to-end encryption. WhatsApp and Viber both support groups and video calls. Both services are available for just about every mobile device and for computers. They both work over 3G, 4G, and Wi-Fi. Both offer instant messaging, voice, and video calls to other users. Both allow transmission of photos, documents, spreadsheets, and audio and video clips. Viber has a rich interface, but it looks cluttered. Viber has an overwhelming library of stickers that clutter and complicate the interface. If you are addicted to stickers, you'll prefer Viber. WhatsApp isn't into stickers. However, WhatsApp has a simple, clear interface that makes the user feel comfortable and gives the impression that everything is at hand. WhatsApp and Viber are both supported on iOS, Android, Windows and Mac platforms. In addition to the app availability, WhatsApp can be accessed as a web app on your computer, and Viber offers a Chrome extension in the Chrome Web Store. Voice call quality is an important consideration. Viber has offered voice and video calling for years and is more experienced at it than WhatsApp. Viber delivers HD-quality voices that are crisp and clear in high-bandwidth connections. With Viber, you can transfer ongoing calls between devices. Voice quality has many aspects affecting it, apart from the services' codecs and perceived quality. One important factor is the network connection. In this respect, WhatsApp appears to be more robust, especially in re-establishing dropped calls. Viber and WhatsApp both offer video calls. There doesn't appear to be any advantage of choosing one service over the other for video calling. With Viber, you can start a secret chat and set a timer that deletes the message at the time specified. You can also set video messages to self-destruct a specified time after they are seen once. WhatsApp doesn't have a self-destruct feature. If this is a dealbreaker for you, check out Kaboom on Google Play or Apple's App Store. You can write a message and set a timer in Kaboom and then "share" the message with WhatsApp. The downside? The recipient receives a link to Kaboom's online site to view the message, so the integration with WhatsApp isn't seamless. Viber costs nothing to download and install. Viber-to-Viber calls and messages are free, no matter where the person is located. Calls to numbers that don't use Viber are made using Viber Out, a service that connects you anywhere in the world for a low fee. Viber offers hundreds of decorative sticker packs for use when messaging, some of which are free and some of which cost money. WhatsApp did away with its $1-a-year fee in 2016 and is now completely free to download and use for messaging, voice and video calls. WhatsApp uses your internet connection rather than a cellular connection to contact other WhatsApp members. WhatsApp Calling can place calls to phones worldwide. The only costs occur when you exceed your data limit. WhatsApp and Viber have both penetrated the market and offer apps for nearly all mobile operating systems on the market. They should both be functional on the smartphone you own. They also both offer computer versions you can install on your desktop or laptop computer. A group places a number of people in a common location where everyone can post messages to everyone else and see what anybody posts. This is a great way of communicating en masse and getting information out efficiently. Both apps allow groups, but the implementation in both could use some improvement. 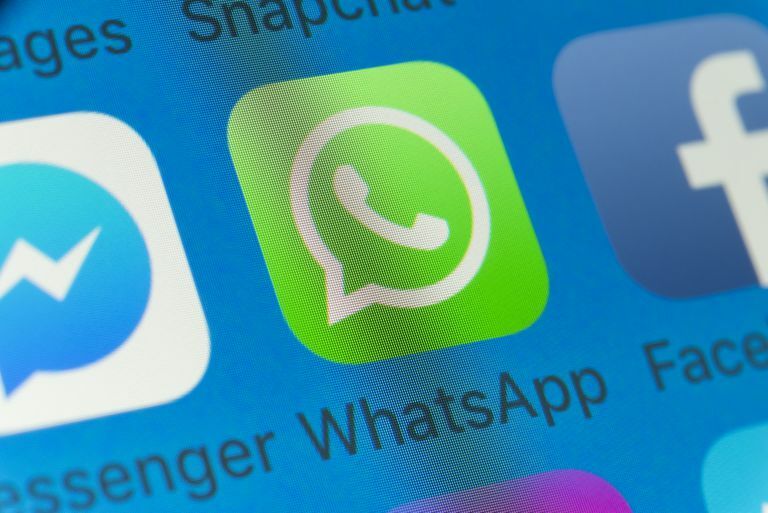 WhatsApp prides itself on end-to-end encryption of your messages and calls. You and the person you contact are the only people who can read or listen to them. Viber also provides end-to-end encryption for your communications, so both apps provide strong security for users. It's safe to say there are no losers here. As you can tell, these two apps are similar in services, features, security, and costs. Your choice will probably come down to personal preference for the interface design unless you already know a lot of people who use one app or the other. Viber Out Review - How Good Is Viber for Paid Calling?